We've written about Berkley Square, the historic neighborhood designed by Paul Revere Williams. Now comes word from Councilman Ricky Barlow that the famed neighborhood needs your help. We need volunteers to help transform the Historic Berkley Square neighborhood on Saturday, May 28! As part of making Ward 5 clean and green, I?m asking you to bring your friends, your shovels and gloves, and join me as we plant 185 new trees at Berkley Square and then celebrate with a community barbecue. Groups of adult volunteers are needed to help plant the trees. Volunteers will gather at 7 a.m. at the corner of F Street and Owens Avenue; tree planting is expected to take several hours. Each property fronting the street will receive one 15-gallon tree, while properties with corner lots may receive up to three 15-gallon trees. The project will provide shaded, walkable streets in the community at no cost to individual homeowners. The city of Las Vegas received a grant from the Nevada Division of Forestry to place 185 trees within the historic Berkley Square neighborhood for the purpose of increasing the tree canopy. The project is funded through the 2009 American Reinvestment and Recovery Act Clark County Urban Forestry Revitalization grants from the U.S. Department of Agriculture. The grant requires that the trees be planted within the planting strip between the street curb and sidewalk. The planting strip is publicly owned but maintained by the adjacent property owner. Residents will be responsible for watering and maintaining the trees. Please plan to bring your friends and neighbors, and lets work together May 28 to improve the quality of life in this historic Ward 5 neighborhood! Note: Over the weekend, the information for the New Year's Eve Firework Displays will go up. Stay Tuned! Description: 5 - 11 p.m. Perfectly straight house lights and multiple yard decorations. Decorations are accompanied by music. Description: 4 - 10:30 p.m. Sun-Thurs; 4 - 11 p.m. Fri-Sat. 10,000 lights that are synchromized to music. Music can be heard on station 106.1 FM. Currently 14 various song/light shows are programmed. Description: Entire house decorated from top to bottom. Various lawn ornaments, blow ups, reindeer and santas! Lights galore! Description: Anytime after 5:30 pm. Themed as the Peanuts visiting the North Pole! Description: 7 - 10 a.m. Wednesday-Saturday; Monday-Tuesday, all day. My parents' home, always decorated every space you can imagine ... from the roof to the whole front yard! My Dad does this himself everyt year. He is 80 years old! Climbs up that roof, etc. Then goes to my sister's house & helps her! Every year! Needs to be recognized. Description: My sister's house says: Happy Birthday Jesus. Everyone seems to forget what Christmas really means & her display says it all ... a must see! Description: 5 - 11 p.m. More than 25,000 lights, dancing characters, handmade Santa, lots of intricate details. Features Christmas music. Description: 5 p.m. to at least 10 p.m., weekends until 11 p.m. Our display includes, of course, a Nativity scene, There is Santa in his sleigh with 9 flying reindeer suspended in air. Flying Sopwith Camel airplane with Snoopy. Mega tree. Animated polar bears and penguins. There are several lighted trees throughout the yard. We are approaching 100,000 lights. Our lights are sound activated by controllers, with Christmas carols (Mannheim Steamroller, Trans-Siberian Orchestra, Kitaro, David Arkenstone) playing through outside speakers and the lights flash to the tempo of the music. Animated pink flamingos, carousel. Large U.S. flag on the roof (9' x 13'). We also have the obligatory gaudy plastic figures; Mickey, Minnie, Santa, Mrs. Santa, choir people, elves, candy canes, snowman, Santa waving in a train, toy soldiers, drummers and windows have animated lighted figures. Sometimes Santa appears, especially Christmas Eve and hands out candy canes." Description: 5-10 p.m. My favorite TV show of all time is "Star Trek." The recent "Star Trek" movie was OK, but I much prefer the original cast. As a tribute to the show I have decorated my front yard to represent some of my favorite episodes with a holiday twist. Kirk and Spock in hand-to-hand combat armed with candy canes and dressed as elves, red, white and green animatronic tribbles and much much more. A true Trekkies holiday delight! Come one and all and join for a Romulan ale as we boldly go where no man has gone before! Description: 4 to 10 p.m. daily. Tune your car radio to 103.9 FM. Thousands of LED lights set to music. THX opening, Carol of the Bells, Linus and Lucy, Jingle Bells, TSO Wizards of Winter. Picture on this web page is this house. Featuring 16 mini trees out front. Merry Christmas. Description: 6 - 8 p.m. My 14-year-old stepson Ryan Knepp loves Christmas decorations. With every dime he gets he buys blow-up decorations to place in the yard. Over the last month he has spent countless hours setting up his display. He has about 40 blow ups plus countless lights and other displays. Last year he had blow ups stolen. He now attaches each one to plywood and puts a cable around all of them to prevent them from being stolen. He is very meticulous and makes sure every wire and string is just right. This 14-year-old does this all by himself and with his own money. Truly an inspiring story about Christmas and youth. Description: 5-11 p.m. Deer, trees, lights, music and lots more! Description: 4:30 - 11:30 p.m. Lots of lights, inflatable airplane on roof, nativity scene, snow globe and lighted animals, angels and more. Live Santa appearing on Sundays. Snow in the Square featuring snowflakes and holiday music will be featured through Dec. 23 in the park at Town Square, 6605 Las Vegas Blvd. South. Hours are 7 p.m. Mondays through Thursdays and 7 and 8 p.m. Fridays through Sundays. Photos with Santa Claus will be available through Dec. 24. Hours are 10 a.m.-9 p.m. Mondays through Saturdays and 11 a.m.-7 p.m. Sundays. Pet photos will be available for dogs and cats only 6-9 p.m. Wednesdays. The Holiday Nights & Lights community concert series featuring local choirs and music groups from Las Vegas area schools and community organizations will be at 6 p.m. Wednesdays through Dec. 23. The rink is located on the Floating Stage at MonteLago Village, 15 Costa di Lago, Henderson. Hours are noon-9 p.m. Saturdays, Sundays and holidays and 3-9 p.m. Mondays through Fridays. Admission is $15 for adults and $12 for children 12 and younger (564-4766). Presented by the Jewish Community Center of Southern Nevada in cooperation with Blush Boutique Nightclub, the Bagel Ball is open to all adults (must be 21). Nightclub attire is suggested. Complimentary cocktails courtesy of Southern Wine & Spirits and hors d'oeurvres from Wynn Las Vegas' Society Cafe will be provided between 8 p.m. and 10 p.m.
Attendees bringing a $5 grocery gift card will receive a free raffle ticket. Gift cards will be donated to the Jewish Family Service Agency Food Pantry which provides temporary assistance for nutritious food and hygiene products to Clark County residents. Other raffle tickets for a variety of fabulous prizes are available for $5 each. Proceeds also benefit the JFSA Food Pantry. Complementing the Bagel Ball festivities, Wynn Las Vegas is offering several special deals. A "Taste of Wynn" full course dinner is available at Society Cafe before the Bagel Ball at a discounted price. Call 770-3463 for reservations. A discounted room rate of $119 is available to Bagel Ball attendees. For reservations, call (866) 770-7555 and ask for promotion code 8JCC1209. Reservations must be made by Dec. 17, 2010. The Holiday Spectacular will transform the Springs Preserve into a winter wonderland. Bathed in the glow of thousands of colorful, eco-friendly LED lights, the family-friendly celebration will feature tasty treats, holiday arts and crafts, photos with Santa Claus, train and reindeer (pony) rides for the little ones – and snow! The merriment begins the first Saturday evening in December and runs December 4-5, 11-12 and 18-23, from 5 - 9 p.m.
Tickets are $8 for adults, $4 for children 5 to 12 and free for kids 4 and under. Visitors bringing canned or nonperishable food items will receive $1 off admission; food items will be donated to local charities including: Shade Tree Shelter, Catholic Charities, The Salvation Army, Lutheran Social Services of Southern Nevada, and the Las Vegas Rescue Mission. Springs Preserve members receive 50 percent off admission. Tickets will be available at the gate or may be purchased in advance at www.springspreserve.org. (Price does not include $1 per ticket fee when purchasing on-line.) All activities are included with the full admission price. The Holiday Spectacular is made possible in part through the generous contributions of MGM Resorts International. For the 17th consecutive year, Southern Nevada residents and visitors from around the world will celebrate the season strolling through a chocolate wonderland with the official public opening on November 17, 2010 of Ethel M Chocolates’ Annual Holiday Cactus Garden. This year, Ethel M invites visitors to experience the Holiday Cactus Garden like never before – in 3-D. Visitors can purchase 3-D glasses inside the Ethel M store located next to the garden. Located in Henderson, adjacent to the Ethel M Chocolates’ factory, the three-acre Holiday Cactus Garden is free of charge and open to the public Wednesday, November 17 through Saturday, January 1. Visitors can wander down the garden’s illuminated cacti pathways and enjoy the sights, smells and sounds of a chocolate wonderland from 5 p.m. to 10 p.m., seven days a week. Throughout the season, local school choirs will perform holiday favorites in the garden and Santa will make appearances on Friday, Saturday and Sunday evenings through December 23. Rides and attractions include the Forest Express passenger trains, an authentic carousel, the Alpine Slide, Santa’s Speedway (a new attraction this year), hundreds of decorated trees, a gingerbread house display, photos with Santa, hot cocoa, plenty of holiday food and nightly entertainment. Hundreds of local businesses and community organizations have come together to make the Magical Forest one of the longest running holiday spectaculars in Las Vegas. This is Opportunity Village’s largest annual fundraiser, generating more than $1 million for the organization’s most profoundly disabled adults in Project PRIDE (People’s Right to Independence, Dignity and Equality). Tickets can be purchased in advance at all local CVS/pharmacy locations or online at www.magicalforest.org. Friday, Dec. 17, 5 to 8:30 p.m.; tree lighting 5 p.m.; movie at 6 p.m.
Fee and open to the public. Sammy Davis Jr. Festival Plaza in Lorenzi Park, 720 Twin Lakes Drive. 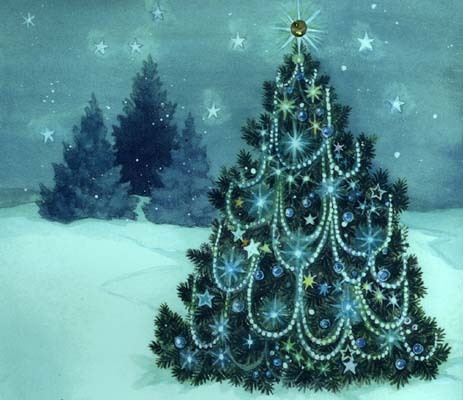 Join Councilman Ricki Y. Barlow and chorus singers to light the holiday tree in Lorenzi Park. Children from 14 elementary school in Ward 5 have been invited to decorate the tree from 2 to 4 p.m. with ornaments they make. After the lighting, caroling and carriage rides, enjoy the family film, “Christmas with the Kranks,” inside Sammy Davis Jr. Festival Plaza, with hot cocoa, cookies, hot dogs, popcorn and cotton candy, while supplies last. Please plan to bring your favorite lawn chair or blanket for the movie. Saturday, Dec. 18, 5 to 8 p.m.
East Las Vegas Community/Senior Center, 250 N. Eastern Ave., (702) 229-1515. Join Mayor Pro Tem Gary Reese to celebrate the holidays with traditional Hispanic customs involving friends, family and the whole community. All are welcome to enjoy live entertainment, traditional Posada, food vendors, children’s raffle and a special visit from Santa Claus. Nevada Ballet Theatre's "The Nutcracker"
More info/tickets: (877) 374-7469 or 946-4567 or www.nevadaballet.com. Mid Mod Marvels Weekend comes to an end! Thank you to everyone who helped make the official second annual Mid-Century Modern weekend such a success! The fun begins on Friday evening, Oct. 22nd with a reception at the famed Morelli House. The Junior League of Las Vegas has graciously agreed to open their doors for a cocktail party to kick off our weekend of Mid-Century Modern madness. 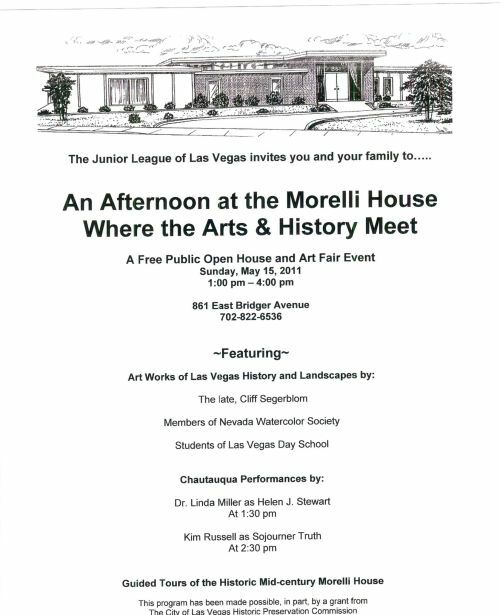 Alan Hess will be there to say a few words about not only the era of Mid-Century Modern but also provide a bit of history about the Morelli House. The reception starts at 5:30 pm and goes until 7:30 pm. Tickets are $25. 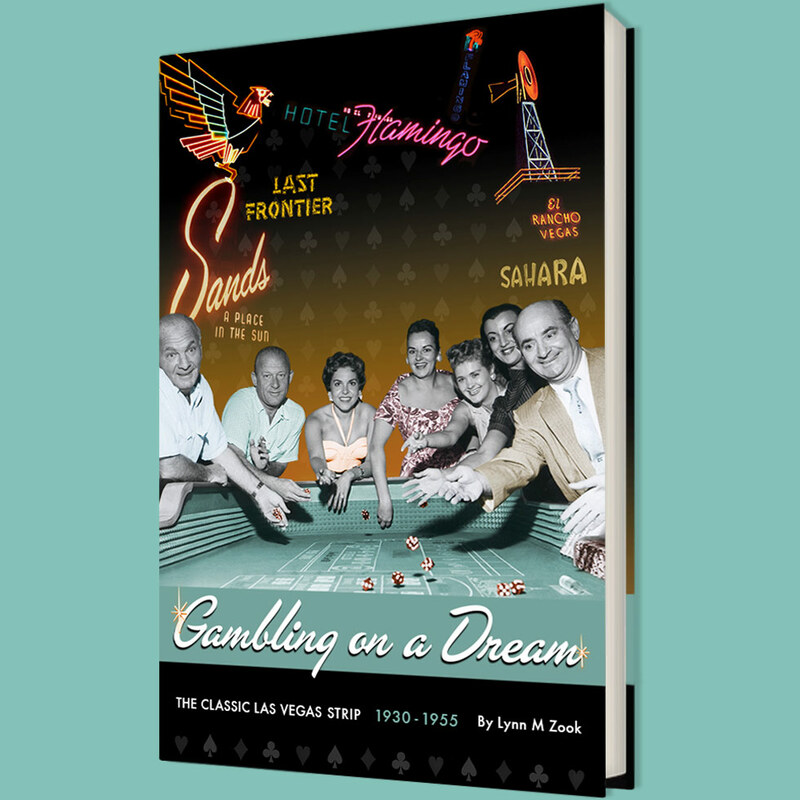 We kick-off Saturday afternoon, Oct. 23rd at the National Golf Course's (originally the Stardust Golf Course) Clubhouse with two panels on the era and Las Vegas. Panelists include Alan Hess, architects George Tate, William Krisel and Dr. Robert Tracy talking about the influence of architects such as Welton Beckett, Wayne McAllister and Paul Revere Williams on local architects such as Walter Zick, Harris Sharp, Hugh Taylor and the influence of Mid-Century design on Las Vegas. The Las Vegas News Bureau helped put Las Vegas on the map in the Mid-Century Modern era. The photographers captured not only the stars of the era but also the buildings and hotels of the era, most of which are gone or altered way beyond their original design. Panelists will include: former News Bureau manager, Don Payne. In the evening of Oct. 23rd, we will present the Las Vegas premiere of the documentary, "William Krisel, Architect" at 6:30 pm. 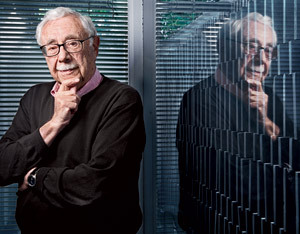 The documentary, produced by Design OnScreen and directed by Jake Gorst, looks at the life and the influence of William Krisel. 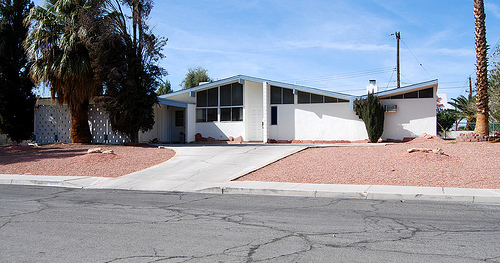 Known mainly for his Mid-Century Modern architecture in California, Mr. Krisel's influence on the residential architecture of Las Vegas can be seen in the Paradise Palms neighborhood. Working with developer Irwin Molasky, Mr. Krisel designed the homes in that subdivison. Following the screening, the will be a Q&A session with Alan Hess about Mr. Krisel's career. On Sunday afternoon, Oct. 24th, we will offer a double-decker bus tour highlighting the Mid-Century Modern neighborhoods of Las Vegas. This will be a different tour route than the one we did last year with new open houses at two Mid-Century modern homes. Neighborhoods we will glide through include Marycrest, Paradise Palms and the Scotch Eighties. The tour leaves from the Reed Whipple Cultural Center at noon, include a stop at the Morelli House and will last three hours. The bus will return to Reed Whipple at the end of the tour. Please be aware, like last year, seating for the tour is limited. Now, if you want to save a few dollars, you can buy a three-day pass for $50. Passes and individual tickets will be available on the ADAS website. As soon as they have the page up, we will post a link here. So, start planning your wardrobe and your itinerary, because this is going to be one great weekend you won't want to miss! It's Coming!!! Our second annual Mid Century Modern Las Vegas Weekend! Our emails hint that many of you very much wanted us to have another Mid-Century Modern Las Vegas weekend filled with panels, architecture, tours and more. Well, we heard you. Check back this weekend to find out all the details for our "Mid-Mod Marvels: A Celebration of Mid-Centuiry Modern Architecture and Design". A reception at the Morelli House on Friday evening Oct 22nd. On Saturday, October 23rd, a panel on Mid-Century Modern Architecture and Art, a panel on the history of the Las Vegas News Bureau and the Las Vegas premiere of the documentary on William Krisel, the architect behind Paradise Palms. William Krisel will be with us in person and will attend the screening. And best of all, Alan Hess, the authority on all that is MCM, will be back with us guiding us through all that is Mid-Century Modern and the architects who changed forever the landscape of Las Vegas as well as handle the Q&A at the Krisel film premiere. And yes, there will be a double-decker bus tour on Sunday afternoon with a new route, new open houses and lots of history. It's all coming the weekend of October 22nd and you don't want to miss this as tickets are limited! So check back here this weekend for the deets!